Heirloom tomato season is upon us and I always strive to eat what’s in season, for three reasons: Produce has the most nutrients when freshly picked, it’s in abundance at farmer’s markets and grocery stores and usually, it’s at its lowest price point. What to do with all these “discolored”, yet beneficial tomatoes? 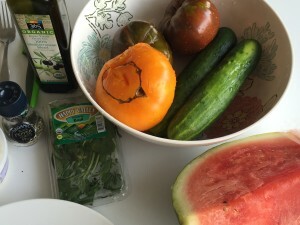 Today at OBC Eats I am creating a tomato, cucumber, watermelon, mint dish. If your mouth isn’t already watering, I topped it with local feta cheese, and paired it with a lightly seasoned chicken breast for the perfect mid-day meal. 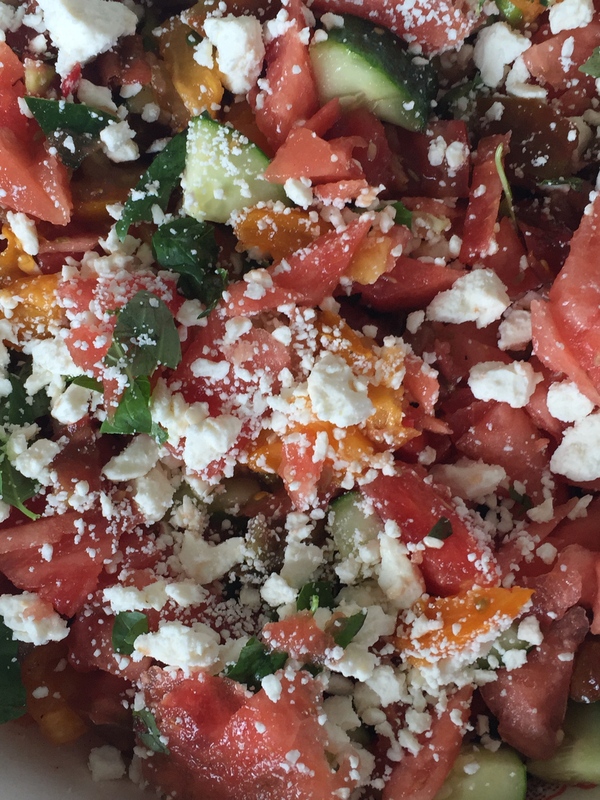 Tomato, Watermelon & Feta Salad: * Try to use organic and local ingredients when possible. 1: Chop tomatoes and cucumbers and toss into a large bowl. 2: Dice up watermelon and mint leaves and add to the bowl. 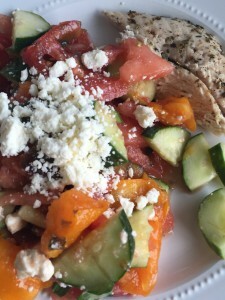 4: Sprinkle the feta cheese on top and serve the grilled chicken on the side. Yum and so healthy. Love the lemon and basil for the chicken.